Hi, I'm Tams. 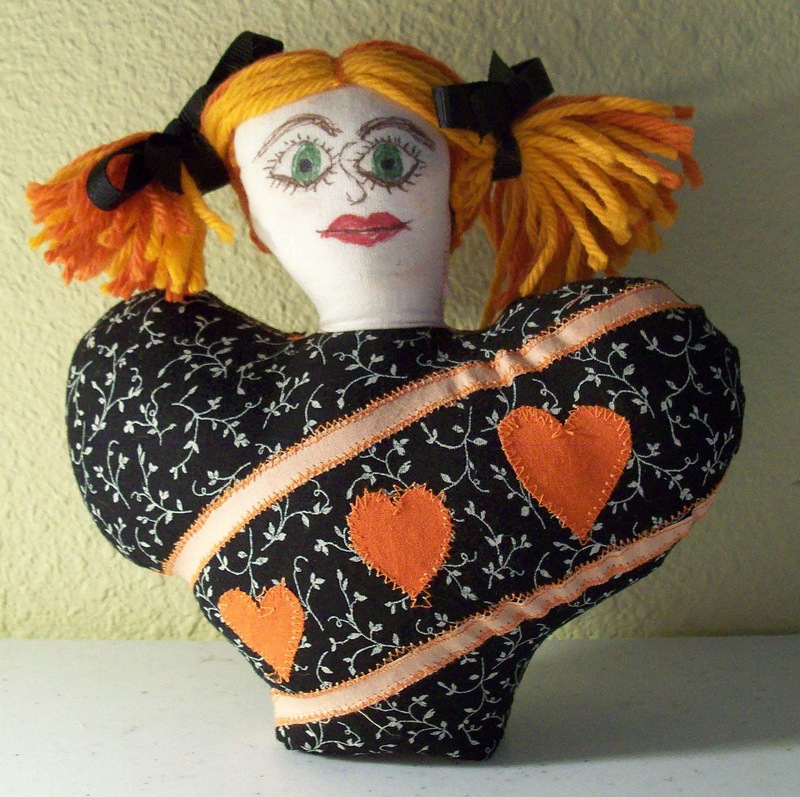 I'm fourth in the Heart Art Shelf Sitter Doll practice. And, if I can say so myself, I'm looking pretty good ! What do you think of my outfit? Some may comment on overuse of black and orange in my wardrobe. I could come up with some great lines .... like I bleed black and orange for my favorite team, or I'm always prepared for Halloween, but the truth is, orange matches my hair nicely and I've heard that black is very slimming. I was placed on the table this afternoon for review and evaluation and it was suggested that my head was slightly crooked. OMG, how cruel these humans can be ! P.s. : It has been decided that my (and that of my future sisters) perfect weighting factor is one and a half cups of plastic pellets. AND, if my sisters are going to be as overstuffed as I am (we are not calling it a weight problem), that corresponding thread must be used!